Cloudy this morning. Scattered thunderstorms developing this afternoon. High 77F. Winds SSE at 10 to 20 mph. Chance of rain 60%.. Scattered thunderstorms early, then variable clouds overnight with more showers at times. Low 63F. Winds SE at 10 to 15 mph. Chance of rain 50%. 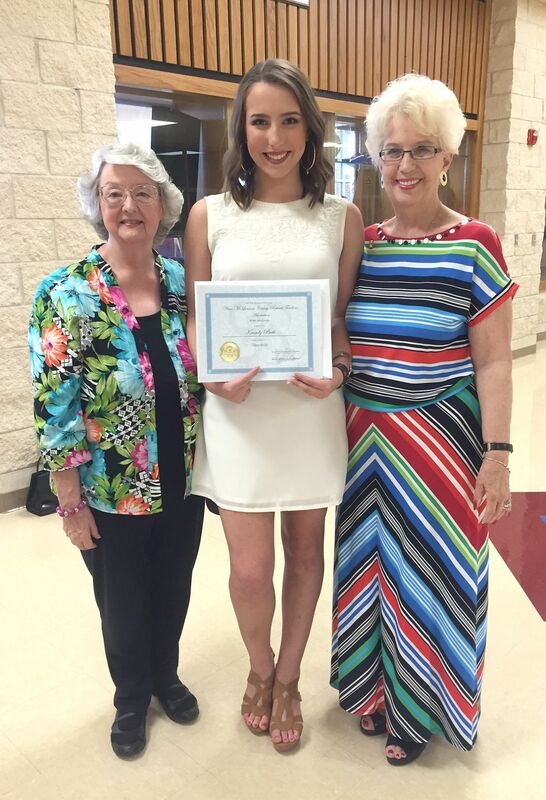 Midway High School senior Kassidy Buth (center) is joined by Waco McLennan County Retired Teachers Association members Bonnie Emmons (left) and Lynn Allen, the group’s president. 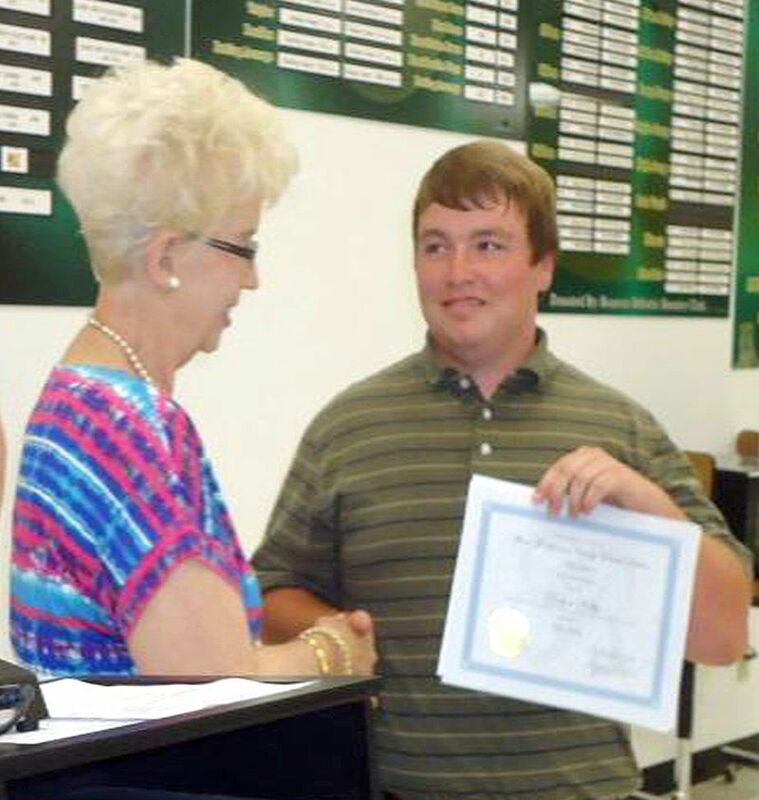 Robert Kelly of Moody High School accepts his award from WMRTA President Lynn Allen. The Waco McLennan County Retired Teachers Association presented scholarships to two high school seniors, Kassidy Buth of Midway High School and Robert Kelly of Moody High School. The scholarship money will be given to the universities these students have chosen to attend. Kassidy plans to attend McLennan Community College and then the University of North Texas to major in broadcast journalism. Robbie will attend MCC and then Stephen F. Austin State University, where he will continue in a family history of agricultural science majors, and then become a teacher. Members of the WMRTA scholarship committee are chair Sara Moore, Melinda Hawkins and Karen Kay. Lynn Allen, association president, made the presentations to the students at their schools’ awards ceremonies.